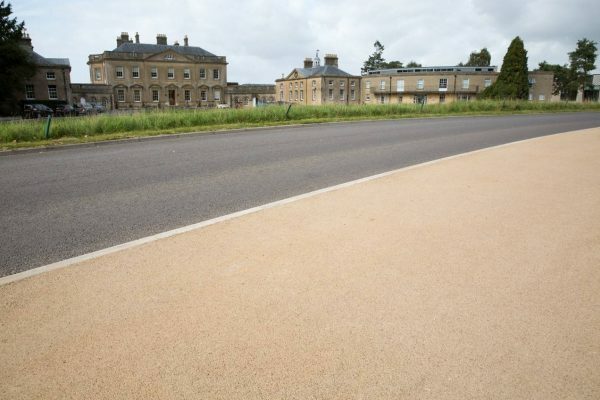 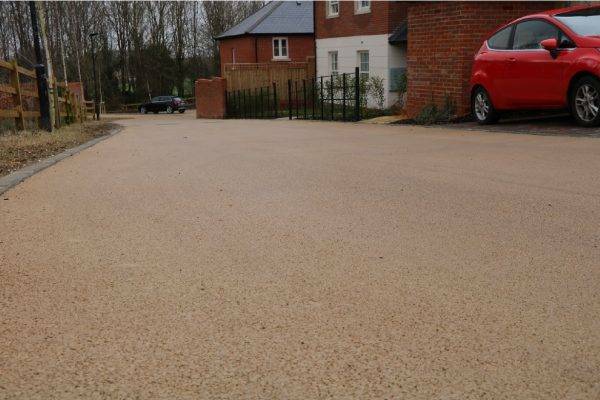 NatraTex Cotswold Classic created stylish coloured roads at Bovis Homes' Winchester Village development. 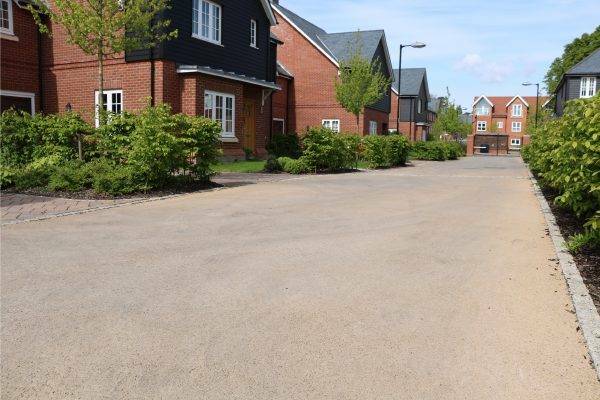 Decorative paving for the Cholsey Meadows property development by Linden Homes in Oxfordshire. 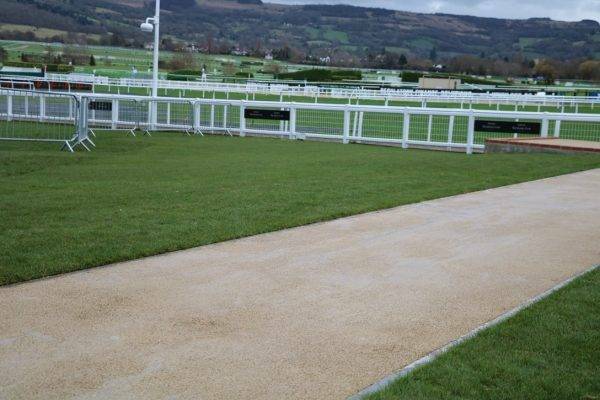 Superb coloured surfacing for the disabled viewing platform at Cheltenham Racecourse. 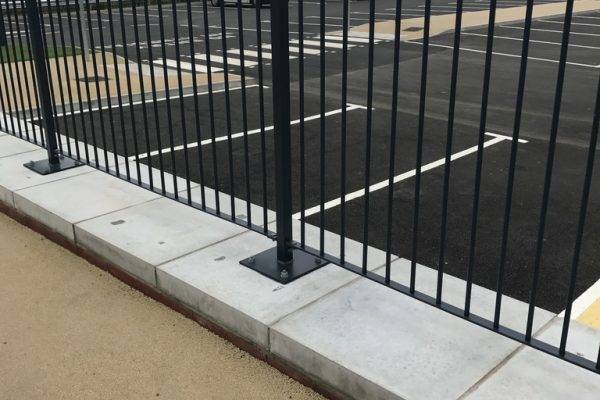 Decorative footpaths clearly mark the way for commuters and pedestrians at Radyr Train Station. 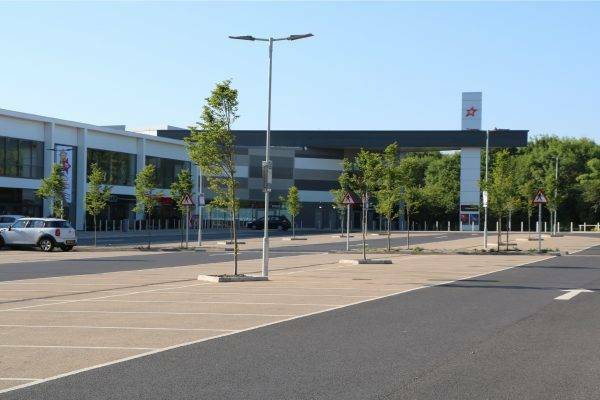 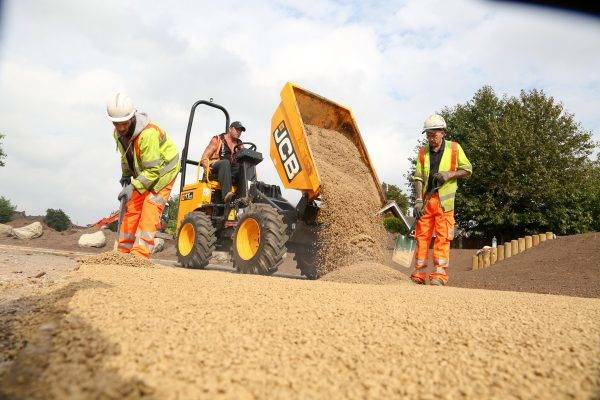 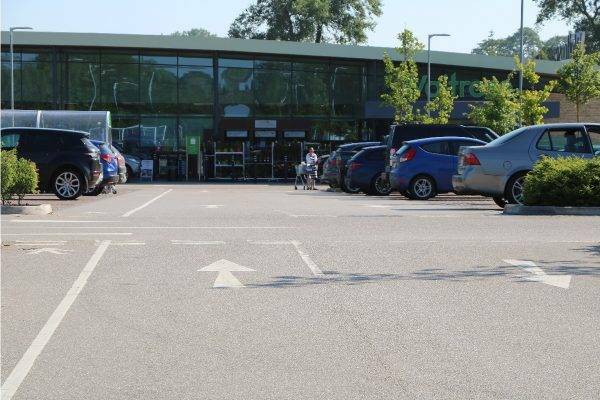 Coloured surfacing for the parking bays at Yate retail park. 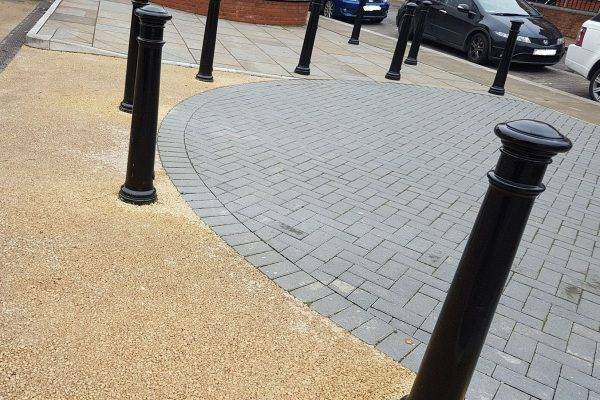 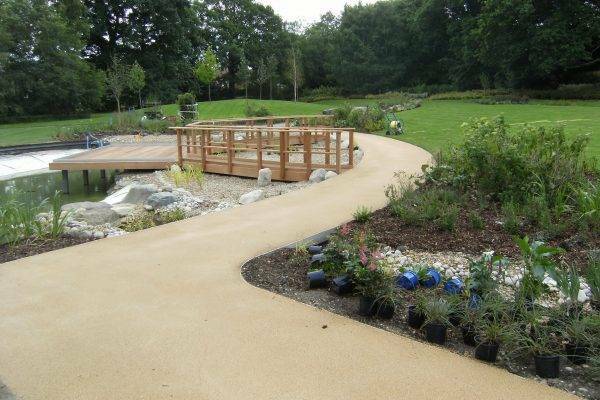 Decorative paving and bound gravel footpaths to regenerate this popular park.